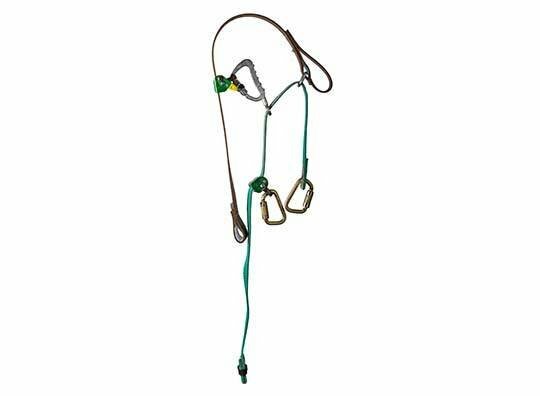 The New Lightweight Design EZ Squeeze™ offers superb Wood Pole Fall Restriction capabilities and easy one handed outer strap adjustment through use of Buckingham’s patent pending WebGrab™ with the New BuckHorn Adjustment Lever. This new component allows EZ length adjustment of the outer strap, without the need for the user to remove their weight from the device. With just a flick of the wrist users can adjust the strap in and tap the BuckHorn™ to adjust out. The New EZ Squeeze™ also features a New Loop Handle on the outer strap that provides a more ergonomic position for the user’s hands while ascending or descending. 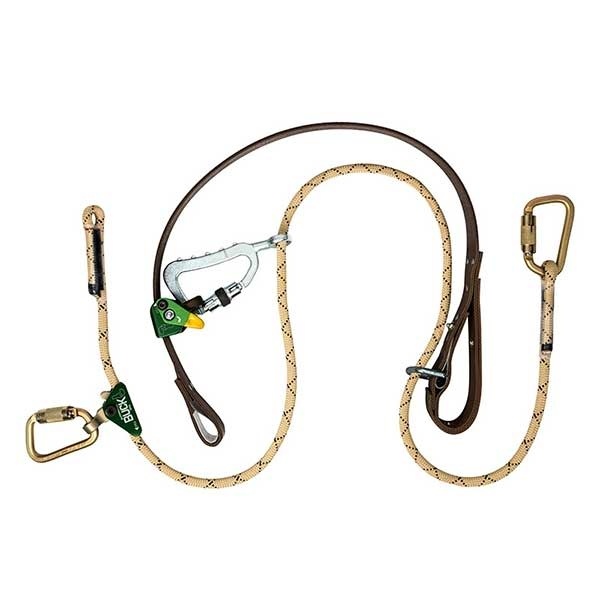 Also, through use of the WebGrab™ or BuckGrab™, the EZ Squeeze™ features easy one handed adjustment of the inner strap, and based on user’s preference, can easily be configured to use a rope or web strap. 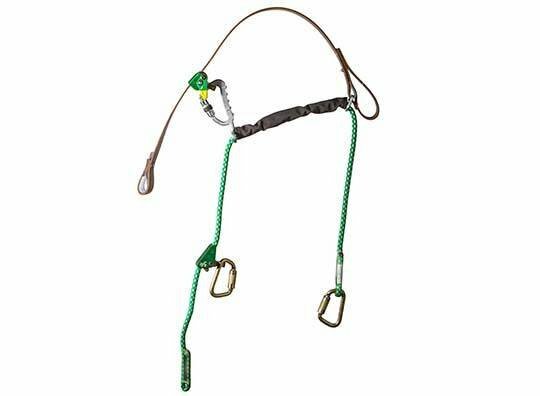 In addition, the New EZ Squeeze™ features one disconnect point when climbing over obstructions, the ability to be used by right or left handed users, red warning center within straps to facilitate visual inspection for excessive wear and 3600 lbf. gate rated hardware. Because of its numerous available configurations, the EZ Squeeze™ fits many climbing styles and needs. Additionally, its modular design makes it easy to change out worn or damaged components or straps in the field.